How long it’s been! I’m hoping that I’m going to start up my blog again and stick with it. I’m going to post everything creatively relevant here – Sketches, paintings, garments, the works! So, I’ve gotten into working with marker, and I’m now in the pursuit of a canvas to remake a couple old works I’ve done. First, you’ll see my latest (Elizabeth Taylor with German phrase) that I did in my Nook cover. 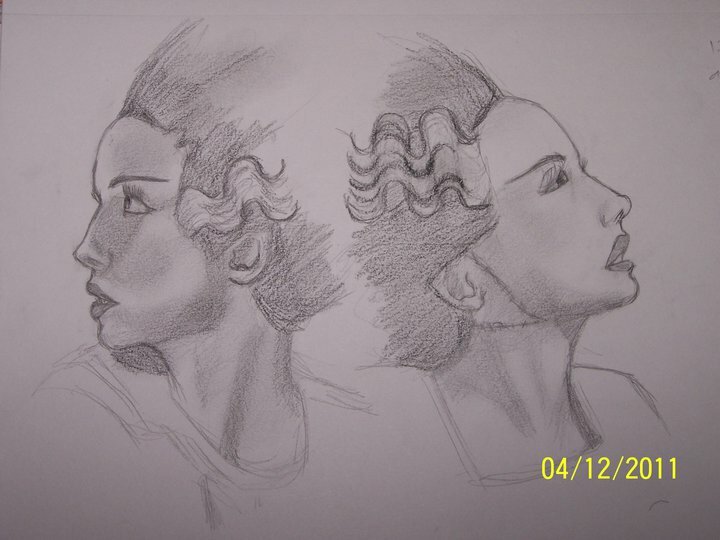 And after, you’ll see The Bride of Frankenstein (Elsa Manchester) work I did about a year ago (Next project). 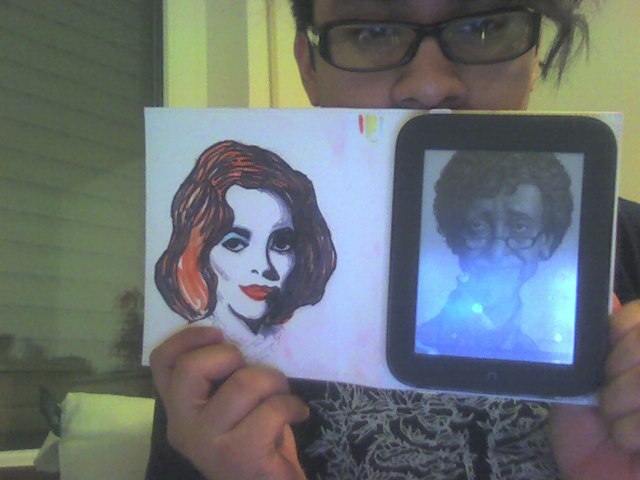 After these, I hope to do a picture of Mia Farrow from Rosemary’s Baby or Betty Davis from Baby Jane. Either way, I’m very excited I’m working with my hands again.